A bipartisan bill which would ban law enforcement from obtaining cellphone location tracking information without a warrant passed the South Carolina House yesterday. The vote was 89-17. “A governmental entity may not obtain geolocation information revealing the past, present, or future location of an electronic device” without a warrant, permission from the owner, or very limited emergency situations. H4791 would not only protect people in South Carolina from warrantless data gathering by state and local law enforcement, it will also end some practical effects of unconstitutional data gathering by the federal government. NSA collects, stores, and analyzes data on countless millions of people without a warrant, and without even the mere suspicion of criminal activity. The NSA tracks the physical location of people through their cellphones. In late 2013, the Washington Post reported that NSA is “gathering nearly 5 billion records a day on the whereabouts of cellphones around the world.” This includes location data on “tens of millions” of Americans each year – without a warrant. Through fusion centers, state and local law enforcement act as information recipients from various federal departments under Information Sharing Environment (ISE). ISE partners include the Office of Director of National Intelligence, which is an umbrella covering 17 federal agencies and organizations, including the NSA. State and local law enforcement share data up the chain with the feds. 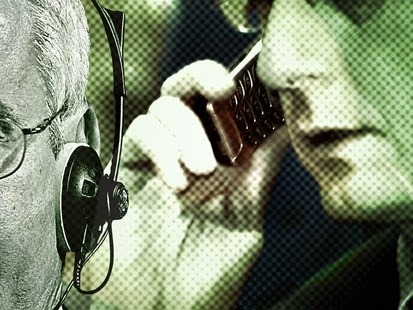 The NSA expressly shares warrantless data with state and local law enforcement through a super-secret DEA unit known as the Special Operations Division (SOD). That information is being used for criminal prosecutions. A Reuters report last fall showed that most of this shared data has absolutely nothing to do with national security issues. Most of it involves routine criminal investigations. H4791 now moves on to the state senate, where it will first be assigned to a committee for approval before the full senate has an opportunity to concur. Please visit OffNow.org where this article first appeared.